Last week we got the official notice that Jonathan was done with school. If your not sure what notice I’m talking about it’s the one the says Congratulations on finishing school! Now it’s time to pay up! We knew it was coming but weren’t quite prepared for the actual amount we would have to pay monthly. While we could probably negotiate down to a lower payment, we know the more we pay now the less we end up paying later. Looking at our budget we knew we had to make a few adjustments. One thing that definitely had to change was our grocery budget. I know a few friends that do pretty well with couponing, so I am delving into it myself. I printed a bunch of coupons off the interwebs and bought my first Sunday paper yesterday. I know I have a lot of learning to do, but I was proud of the little savings I did today. The picture above shows my loot regularly priced at $18.22 and I bought it for the low price of $1.09! 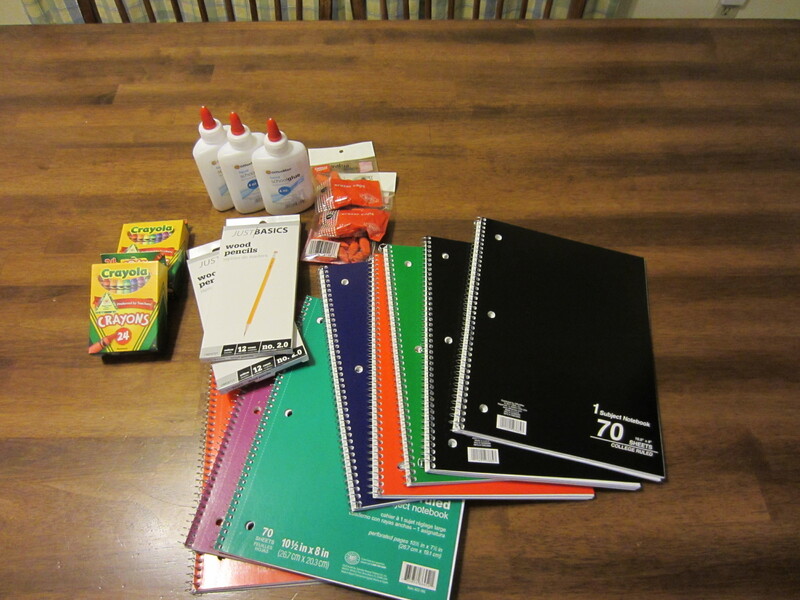 (Thank you Office Max and Office Depot!) The best part was that I didn’t even use any coupons but I would not have known about it without the Sunday paper. Tonight I also did my first try at using 2 coupons for one item. It is a little fun and like a game trying to find the best deal. I am a true novice at couponing, but I’m hoping to learn and save a lot this coming year. Do you use coupons? Any tips for me? Cub Foods takes coupons that have been expired up to 3 months. They do not double coupon. They will accept a store coupon and a manufacturer’s coupon for the same item. Rainbow Foods does not take expired coupons. However, on Wednesdays and some Saturdays they double coupons. Up to 5 coupons, no more than $1.00 value and with a $25 minimum purchase. Check the Sunday ads for sales, use coupons on those products and watch the savings add up. Also, but you may already know this, plan your meal menu for the week or next couple of weeks based on the sales for the week. Good luck! I love how the receipt says how much you saved at the bottom…such an incentive to keep going even though couponing does take time. Thanks, Janette. I didn’t know that Cub took expired coupons. You are a wealth of information!